Happy Tuesday! Did anyone see the season finale of Lost Girl last night? I'm still trying to process it all! It definitely leaves the viewers at a cliff hanger, and I can't believe I have to wait until next January to find out what happens. Ugh, I hate(love) when that happens! Flowers are blooming and I thought it was a perfect opportunity to pull out Elevation Polish Echinops, a gorgeous lavender holo named after the globe thistle. The formula on this was buttery smooth and I used an easy two coats here with no topcoat. As you can see, the holo effect here isn't too strong, and has more of a subtle holo flare. The light holo gives the overall polish a soft multidimensional effect, making it a perfect representation of the globe thistle and it's delicate flowers. It seems with the beautiful spring weather , everyone has a bounce in their step. It's a pleasure to see all the flowers blooming after the bleakness of winter, and this polish is no different with it's beautiful lavender coloring. 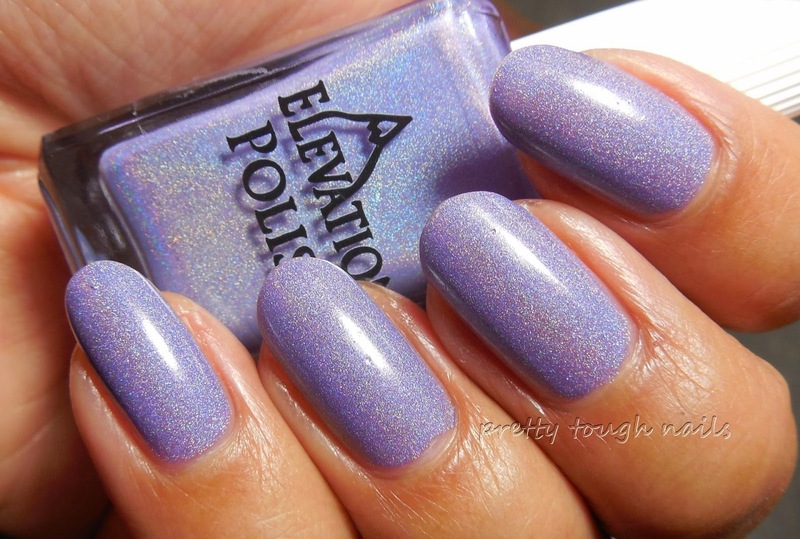 Strong holos aren't always the best, and this is a fine example of understated beauty. Do you have a delicate holo that you're in love with? This is so beautiful!! Purples like this make me swoon. I don't even mind that the holo isn't that strong, I'm just in love with the color. Me too, I love purples like this. Sometimes it's nice not to have an in your face holo. I do miss me some nice scattered holos! Love Lost Girl! The characters have so much charisma. Catch up so we can talk!